For this exhibition, Variaciones a partir de Malevich, Ballester has developed a series of variations based on the artist’s Suprematist Compositions, proposing an inner journey through the eleven geometric and non-representative elements that make up the original work. 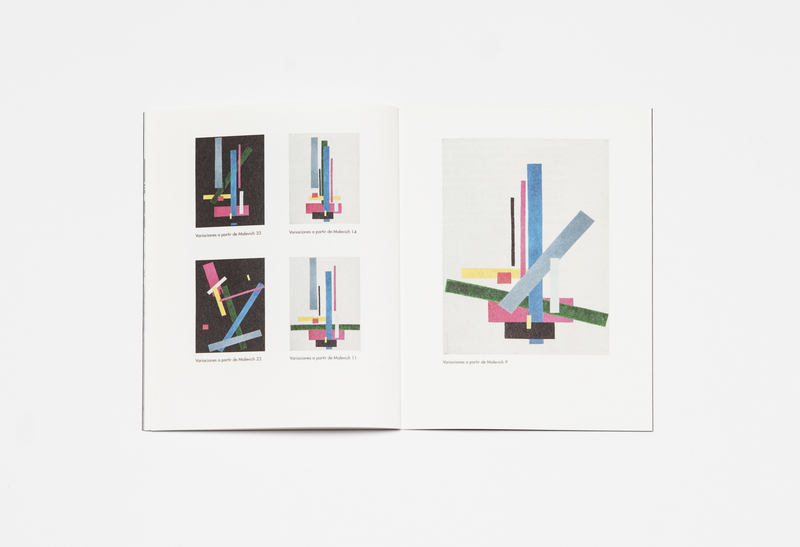 The result is a series of compositional variations that at first glance could very well be options created by Malevich himself. Through the interplay of the figures in the composition, we can clearly see the different fields of attraction or repulsion that can take place in relation to the space they occupy and their relationship to each other, revealing a game of magnetism of formal, chromatic, spatial and tonal virtues. Based on the melody proposed by Malevich in his composition and through this exercise of variations on the starting theme, Ballester highlights the rich potential hidden both in this particular work and in Malevich’s oeuvre as a whole, inviting the viewer to consider this potential that can be applied to any work of art. José Manuel Ballester (Madrid, 1960) is a painter and photographer, who graduated in Fine Arts in 1984 from the Universidad Complutense de Madrid and received Spain’s National Photography Award in 2010. He began his artistic career in painting with a special interest in the technique of the Italian and Flemish schools of the fifteenth and eighteenth centuries. 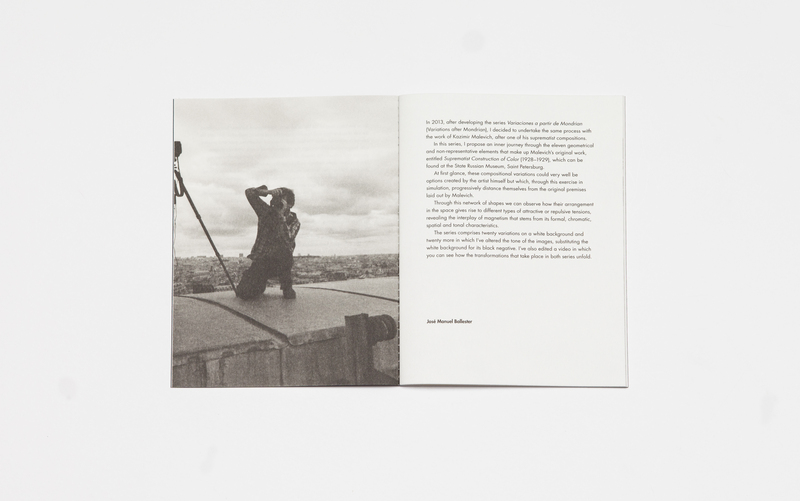 In 1990 he began to combine painting and photography. 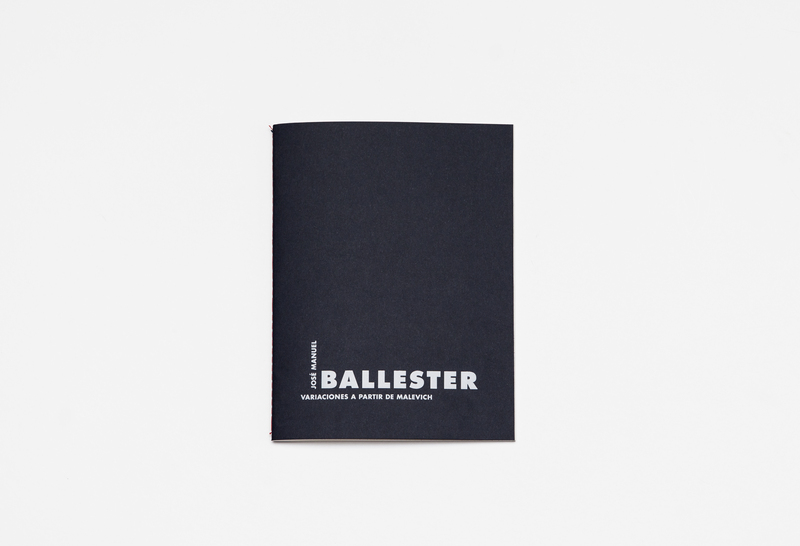 Ballester has exhibited his work in numerous national and international museums. His works are part of the collections of the MNCARS, Madrid; Marugame Museum of Spanish Contemporary Art, Marugame; IVAM, Valencia; Miami Museum of Art; Central Academy of Fine Arts, Beijing; 21st Century Museum, Kanazawa; Cisneros Fontanals Art Foundation, Miami; Fundación Telefónica, Madrid; Guggenheim Museum, Bilbao, and the Coca-Cola Foundation, among other collections.